This chapter serves as an introduction to options. 1. The most familiar options are puts and calls. These options give the holder the right to sell or buy shares of common stock at a given exercise price. American options can be exercised any time up to and including the expiration date. European options can be exercised only on the expiration date. • The price of the underlying asset. • The variability of the underlying asset. • The interest rate on risk-free bonds. The Black-Scholes model can determine the intrinsic price of an option from these five factors. 4. 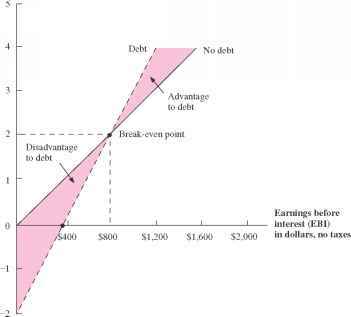 Much of corporate financial theory can be presented in terms of options. In this chapter we pointed out that a. Common stock can be represented as a call option on the firm. b. Stockholders enhance the value of their call by increasing the risk of their firm. c. Real projects have hidden options that enhance value.